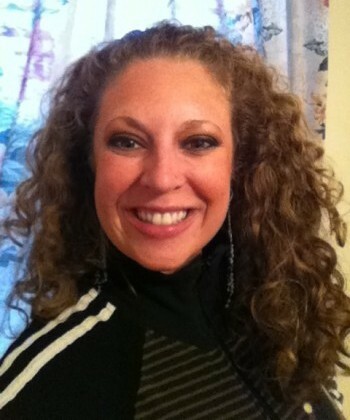 Heidi Bluming: I'm Heidi, a second-year graduate student at Boston College working on my Master of Social Work (MSW). HB: I started embracing my curls when I was 13. I blow dried my hair with a round brush for many years because that’s what my mother did. Then one day, I went to a pool party with friends and my hair got wet. One friend said to me, “Oh my god, you have curly hair! My sister does too and she puts gel in it and wears it curly every day.” I went home and told my mother I needed to get gel and I have never worn it straight since. And now I LOVE my curly hair! HB: I shampoo once a week (sometimes less) and condition a few times a week in the shower. I comb the conditioner through with a wide-toothed comb and don’t rinse. I towel dry and add Moroccanoil, L'Oreal EverCurl Leave-In Cream, L'Oreal EverCurl Sulfate-Free Cream-Gel, and John Frieda Curl-Defining Spray and blow dry with a diffuser with my head upside down. HB: I usually wear my hair loose and big, with a few bobby pins for a half-up look, or in a bun. HB: Moroccan oil, conditioner, cream-gel and bobby pins. 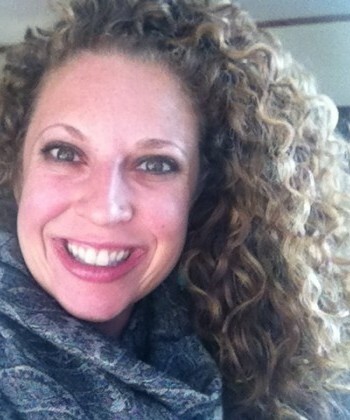 HB: I go to a place that specializes in curly hair and get a “curly cut.” My stylist uses curl-friendly products, scrunches and forms the curls, lets me air dry under the dryer and then finishes with a diffuser. HB: Nothing in particular. But I never, EVER, sleep with my hair in a ponytail. HB: Amazement! People thought I got a perm. HB: I have insecurities in the summertime EVERY year. The frizz is just ridiculous. No matter how much conditioner and oil I use, I can never seem to fight it completely. HB: It makes me unique and highly recognizable from far away. People always tell me that they see my hair before they see me! 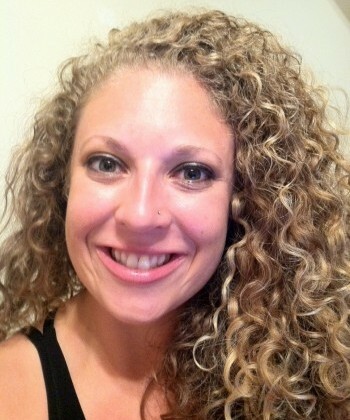 HB: Curly hair is relatively low-maintenance and it makes my morning routine quick. It also keeps me mindful of how I carry myself because I stand out wherever I go. HB: Do research for stylists in your area that specialize in curly hair, and don’t force your hair to do what isn’t natural for it. HB: I am finishing my MSW program and will graduate this coming May. I’m currently working at a domestic violence program and specifically focusing on empowerment, healing and prevention. In the future, I hope to open a nonprofit focused on women’s empowerment and healing, and working to help women from all backgrounds embrace their power and independence and fulfill their dreams! Want to know more? You can find Heidi on Instagram.